This event was available from Thursday, May 3, 2018 12:00 AM until Tuesday, October 16, 2018 5:00 PM. 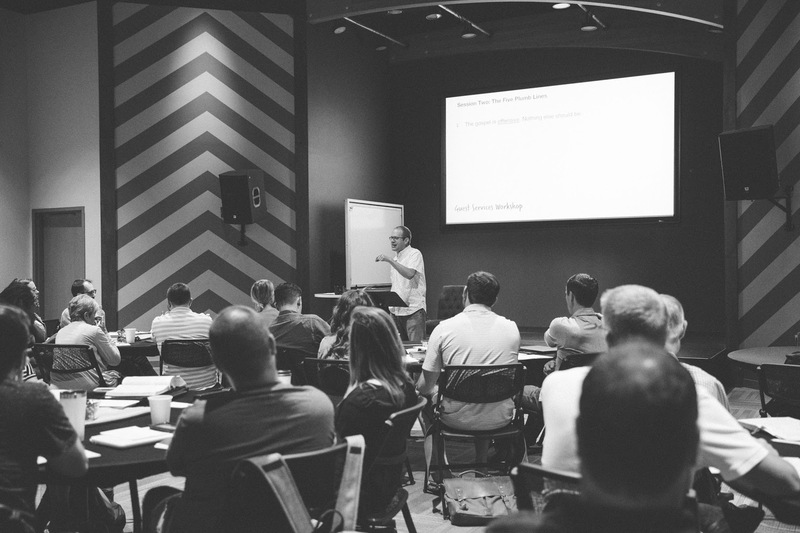 If you're looking for a jump start for your ministry, attending a One-Day Workshop may be just the thing you need. We'll take one specific topic and spend several hours unpacking key things to consider as you get started or continue to improve your existing ministry. A day long on-site session at the Summit Church in Raleigh-Durham, North Carolina, led by Danny Franks, Pastor of Guest Services. Guest Services (July 17): what it is, why your church needs it, and how the gospel speaks to the way we do it. Volunteer Culture (September 11): finding, training, and keeping those who serve on the weekend. Workshops are held on a weekday from 8:30 am - 4:00 pm. Anyone who considers connections ministry part of their job description. One-Day Workshops are open to full-time or part-time staff members, ministry interns, and key volunteers. Workshops are priced affordably, because we strongly encourage you to come with at least one other person from your team (staff or volunteers). Load up the van, and amplify the impact on your church! Anyone who wants to connect. Workshops target a mid-sized audience of 30-50 participants. Specific training in particular areas, helping you to focus on where you are and where you need to be. New friendships from churches of all shapes and sizes. Practical tools and resources to help you get started. Meals and snacks throughout the day. Guest Services EXPIRED STILL AVAILABLE! Volunteer Culture EXPIRED STILL AVAILABLE! Waiting List for After the First Visit Workshop EXPIRED STILL AVAILABLE!